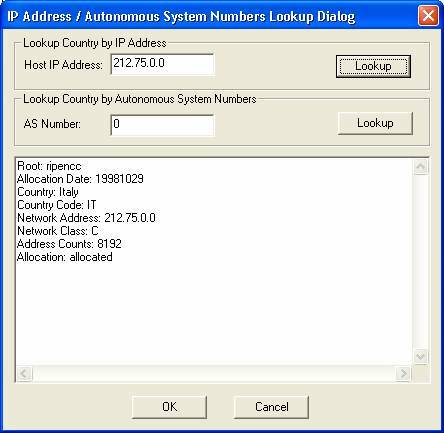 IP / ASN is a tool to determine which country an IP address or autonomous system number is assigned to . This tool supports two ways of finding the country; searching by IP address or autonomous system number. 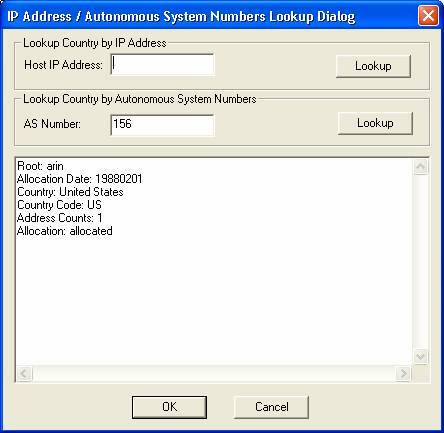 To find the country enter the IP address or AS number and click on the appropriate Lookup button. After finishing the search in its own database, in case of address or AS number matching, the country name will be shown in the list. Otherwise the messagebox will inform about the absence of address of AS number.